Sleeper Agent has become my new obsession. This six-piece band from Bowling Green, Kentucky has so much going on - in sound and attitude - It's a wonder how I could've missed their 2011 debut album Celbrasion. After the release of Celebrasion in 2011, the band, consisting of Alex Kandel, Tony Smith, Justin Wilson, Lee Williams, Scott Gardner and Josh Martin, toured extensively, touring alongside Weezer, Cage the Elephant, Fun., Grouplove, Young The Giant, Ben Kweller, The Joy Formidable, Manchester Orchestra, Circa Survive, Company of Thieves, and more. Their debut album was so lauded by music tastemakers they made the pages of Rolling Stone, SPIN, Los Angeles Times and Alternative Press while MTV awarded them their Freshman Award. 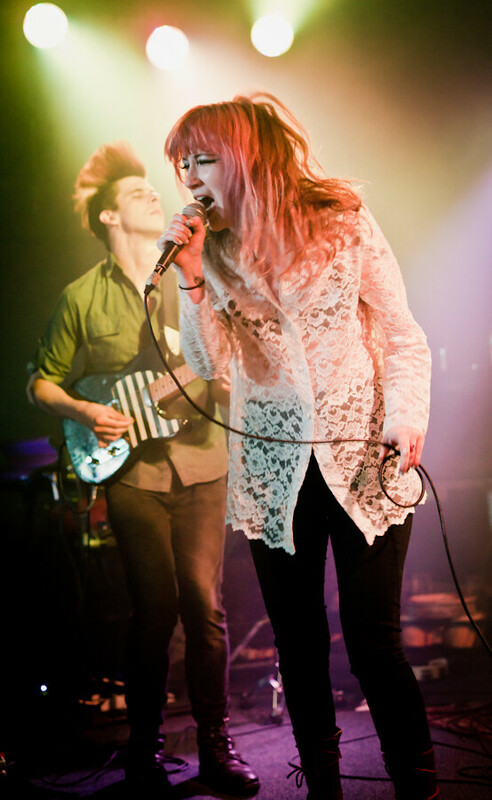 Sleeper Agent performs at The Satellite during their first headlining tour. Earlier this month, they launched their first ever headlining tour in support of their second full-length album About Last Night which dropped on March 25th. 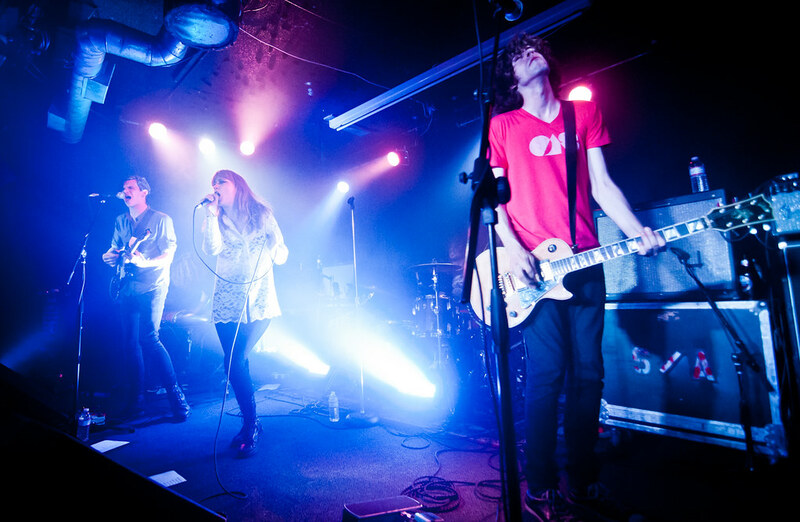 Last Saturday, two days before completing their first headlining tour, Sleeper Agent performed at The Satellite, playing an 18-song set that included singles off their debut album and their latest About Last Night. They sprinted out of the gates with "Be Brave" off their new album and didn't let up for the next hour and a half. 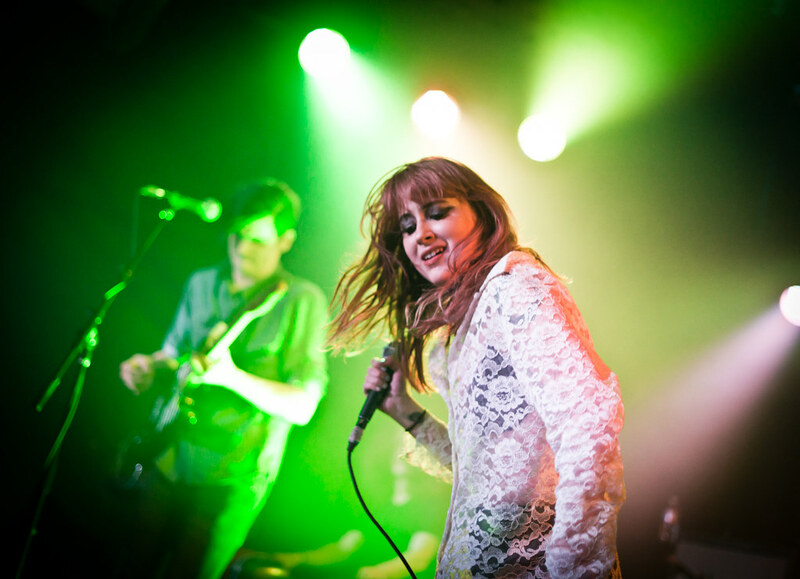 With sixties pop-beats that channel the Liverpool-esque era, Sleeper Agent, who also captures the height of the MTV, pop-80s vibe that defined a music generation has forged a sound all their own. Add to that lead singer Alex Kandel's powerful vocals that echoes Heart's Wilson sisters with the smooth control of Siouxsie Sioux and you get a potpourri of music styles that'll please every music lover out there. Touring extensively since the release of their debut album in 2011, you can tell Sleeper Agent are already veterans of the road, seamlessly problem-solving on stage when bassist Lee Williams' foot rig lost power during the middle of their set. Instead of stopping until the problem was fixed, Alex and guitarist Tony Smith launched into beautiful acoustic version of "Lorena." Towards the end of the song, Williams flawlessly joined in to end the song in a resounding finish. Sleeper Agent, focusing mostly on their new material, did play songs from Celebrasion including "Force a Smile," "Love Blood," "Good Job" and their closing song "Be My Monster." But it was their newer songs like "Waves," "Take It Off" and "Good Job" that brought the loudest cheers from the packed house. In July, for also for the very first time, Sleeper Agent will be playing at this year's Vans Warped Tour. Exciting!